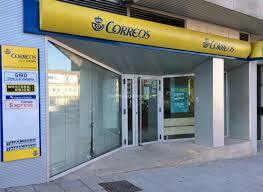 The State Correos (Post Office) has announced that in accordance with article 37 of Postal Regulations, 15 Urbanisations in the Cartagena and Mazarrón areas as from October 1st 2018 will no longer receive door to door deliveries of general mail, including letters and small packages (the registered letter and certified package service will be unchanged) the new procedure was approved by the National Market Competition Commission, from October 1st all general mail will be delivered to concentrated communal post boxes where available or remain in the area post office for collection. The urbanisations included in the Mazarrón area are Bolnuevo, El Alamillo, Rusticana and El Saladillo/Camposol, the first 3 of these urbanisations have enjoyed doorstep mail delivery for many years and residents are outraged that they will have to travel several kilometres out of their way on a regular basis to collect their mail, Camposol has never had a doorstep delivery service for general mail, the CRA have, since this issue was first raised kept in close contact with the staff in the Camposol Correos office who have confirmed that the current system will remain the same, customers with PO/Apto boxes in either the Correos office or the mail hut on A Sector will receive their mail as usual and those without boxes will be able to collect their mail over the counter in the Correos office, those who receive mail through a 3rd party i.e. Best Wishes, Fabulous etc., will continue unchanged. Some local urbanisations, including the Country Club and Condado de Alhama have always used communal mail boxes and although Camposol does have a limited amount of communal mail boxes installed by developer MASA, situated on B Sector commercial car park and the dual carriageway on C Sector these have become derelict and are unusable in their present condition.